MANILA, Philippines – Malacañang Palace vehemently denied the claims by Communist Party of the Philippines (CPP) founding chairman Joma Sison that President Rodrigo Duterte is ill and is now in a coma. In the press conference today, Monday, Presidential Spokesperson Harry Roque refuted Sison’s claims saying that the President is “fine and well.” Roque gave assurances that Duterte is currently in Davao City to enjoy the festivities of the Kadayawan Festival. Sison also claimed that the President has slipped into a coma. 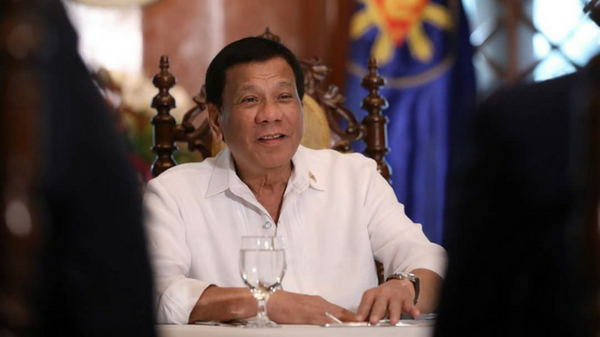 “The latest report (still to be verified or negated) is that Duterte has gone into coma since the afternoon or evening of today, Sunday, August 19,” he said. Roque said that the 73-year-old President is to appear in public on Tuesday in Cebu City for the conference of the League of Municipalities of the Philippines. Duterte will also participate in events for the National Heroes Day.